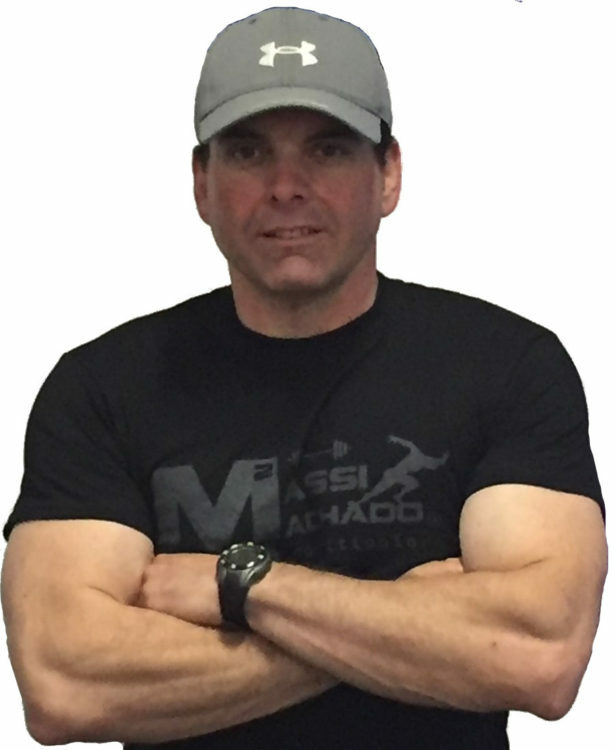 Home » Guy Massi: Stay General or Go Specific When Training Young Athletes? I’m as much an advocate for sport specific training as anybody in the industry. I often find it difficult to depart from specificity of training concepts, yet feel it necessary to address athletic development in a broader sense when training young athletes. I do affirm my stance on specificity of training being imperative to excel in a specific sport, yet also understand the necessity of foundational and overall athleticism. I am regularly approached to develop athletes of all ages for a particular sport. In this market, where I am blessed to have parents and athletes entrust me with their development towards a discernable goal, I find myself faced with a pressing obligation to examine the juncture at which we should begin to focus on an athlete’s specific development towards a particular sport. Although every parent possesses an ultimate dream for their children, we never truly know what any given youth athlete may become. 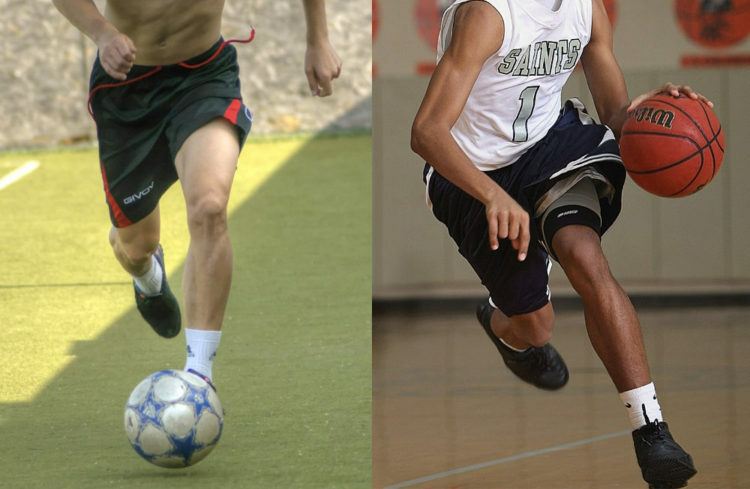 Initial false senses of security may be present: at younger ends of the spectrum, particular prowess displayed in a given sport may, in fact, be directly correlated to a better comparative degree of overall athleticism than possessed by peers. I do acknowledge that there will normally be indicators of an obvious propensity to a specific sport. 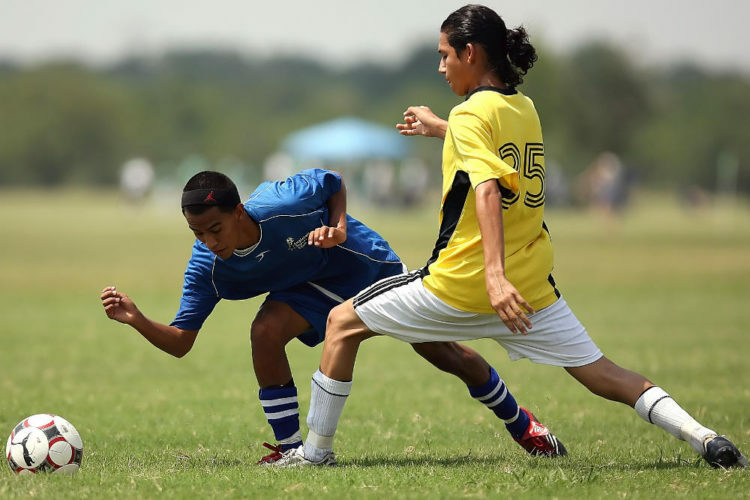 A child who may seems to be “behind” or is a smaller, slighter athlete may actually possess the predisposition to eventually become a very large, strong, fast individual who has yet to encounter their hormonal or developmental stride. The opposite (an oftentimes avoidable de-evolution) may lay with the young athlete who “rips it up and mows ‘em down” in youth sports, only to have time (and others’ skill) catch up with them. In both cases, there is obvious merit to proactively placing these athletes into a prepared environment that requires the skill set to mitigate and balance both examples. Until emotional and/or physiological limitation is encountered, we can never truly put our finger on what they will become (both physically and emotionally,) yet can certainly provide them with an environment that fosters positive development in all spheres. We must remember this: above and beyond all else, we must develop emotionally sound, contributing members of society. It’s also great if they happen to be stellar athletes. For all the above reasons and more, I began to dissect my own methodologies of training young athletes and open my thoughts to critique by my peers to flush out the shortcomings and make positive correction to the protocols and progressions therein. I then began to delineate and prioritize the information and developmental protocols provided to our juvenile and adolescent athlete population. In those impressionable stages of development, what would be the best gifts to give for immediate on-field translation, for performance and for longevity? A view more towards general athleticism development for the juvenile and adolescence emerged. For our youth population, sound foundational biomechanics that compliment strength and power movements and injury reduction can in fact be achieved. Better yet, they can be achieved in cooperation with a set of protocols geared toward the broad-spectrum interpretation of general athleticism and sound fitness and nutritional bases. Every young athlete requires good balance, agility, spatial orientation, awareness, attainable degrees of strength and power and, most definitely, speed in their sport. So why not face the facts that we actually encounter . . the common (and problematic) occurrence of a room full of young athletes, from various sports, in one place at one time. Each requires general development in all of the aforementioned elements. Quite literally, we’ll have someone who plays soccer, someone who plays football, someone who plays lacrosse, someone who plays baseball . . . they can all benefit from the kinetic, biomechanical, metabolic and energy system nuances provided by, let’s say, a proper kettlebell swing. Providing for this type of explosive power and stability isn’t going to “hurt” them, rather provide a foundation for eventual progression towards a better overall functional athlete. Provide stability, injury reduction, dynamic mobility and joint and ligament strengthening protocols—the elements required by every athlete that should be included part-and-parcel in any good program. “Lighting-fast” agility—The gift of commanding and translating strength and power during agility movements. Practically every sport requires quick, explosive and controlled changes of direction that demand force translation through the command and application of strength and power. Assisting to develop better biomechanics and neuro-muscular involvement regarding efficient directional changes always proves to be a “crowd pleaser,” and a noticeable asset on the playing field. Timely development can be achieved through relatively simple agility drills that persistently vary cues, calls and stimuli and prove to be most effective for immediate play translation. Development of the energy systems associated with these movements and frequent directional changes should also be a simultaneous concern. As time in the environment transpires and their skills begin to intermesh with their budding athleticism, you find a more developed, complete athlete. We’re fulfilling our goal of providing the skills coach with the most athletically developed “product” possible, and afford them with more time to focus on skill and game play. Being around different groups of peers serves to develop young athletes as persons and provides them with varying perspectives among different types of sports crowds. Placing young athletes in differing environments forces them to have to intelligently change gears, utilize executive reasoning, engage in time management and appreciate the differing authority and communication of each coach. In time, an athlete will begin to demonstrate more of an appreciation, propensity and skill to a given sport then decide for themselves where their priority resides. As performance coaches, we just have to engage our athletes in pursuit of the most advantageous means towards progress that nurtures their overall development. As we see the athlete progress in grade and make a commitment to a given sport, our focus should sharply change to specificity of training. That said, the move should be done without vacating the foundation that kept them healthy and brought them safely and productively to this point. Whether we’re talking about strength, power, agility or speed—we now have to look to support the desired result. Nine-out-of-ten times, once these youth athletes start to move up in the ranks and grades into high school, three sports normally drop to two, and perhaps two are reduced to one. It’s just part of an natural progression and reality of life as these athletes begin to develop eventual collegiate aspirations. Everyone seems, with good reason, to be on the quest for the elusive college scholarship. If you do the math, committing funds to six years of athletic development that may raise one’s position of advantage in the collegiate selection and awards process, can represent less than one quarter of the total overall average state college tuition. If a scholarship is earned, that dedication can mean three-to-four-fold yield on the investment. (We can’t forget the fact that academics is the most important requisite for collegiate admission, often providing better collegiate selection and recruitment options). Athletics paired with academics often provides for more enticing options. Hence, a decision to commit to a reputable athletic development environment becomes academic (no pun intended), and more people are beginning to embrace the idea of putting aside the extracurricular “swag” and actually investing in the development of athletic performance. In the worst case scenario, you have a healthy high school graduate who hopefully learned a lot from their performance coaches, and also greatly developed as a person. We should always want to place our student-athletes in the greatest position of advantage, but how do we consistently and persistently do that? The answer is simple—when training young athletes, we adhere to our proven strategies and assist in their development towards a particular sport ONCE they declare their exclusivity. Don’t discount those seemingly monotonous, foundational progressions and protocols. (After all, this is how we gained so much ground in the first place.) Retain, develop and progress from this thought of general athleticism and appreciate the overall process. Possessing that firm foundation is what allows us to safely and effectively progress towards eventual dominance, while appropriately navigating developmental bridges as encountered. When training young athletes, building sound general athleticism platforms for your budding business is a necessity not only to get customers in the door, but also provides for necessary and sound foundational programming. Yes, you can have a class of sixth, seventh and eighth graders from many different sports . . . as long as you are providing sound progression and protocol in all spheres. After all, at the end of the day, a horizontal press is a horizontal press. But it can have many variations. The transition to specific training requirements for specific sports remains an entirely separate issue to be addressed only after embracing the obligation of providing your young athletes with their license . . . before they get the keys to drive the car. In closing, I affirm that general athleticism training offerings are not taboo to the athletic development climate. They need to clearly set a complimentary foundation for the specific training requirements that will eventually arise and most assuredly be a part of a broader, credible, safe and proven methodology. When training young athletes, always place them (adolescent, teen or developed) in positions of advantage and remember: Greatness is forged, not fabricated!